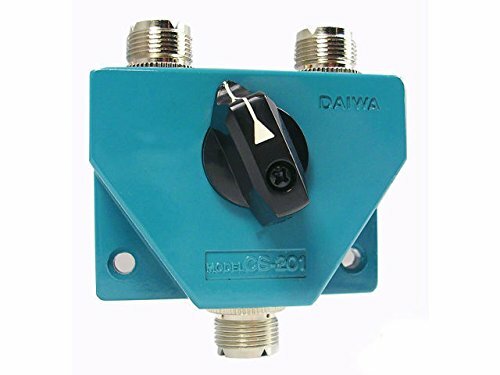 DC ~ 600MHz 2 Position Antenna, Coax Switch, Power: 2.5 kW PEP, 1kW CW, VSWR: Below .12, Insertion Loss: Less than 0.2 dB, Isolation: 60dB 600 MHz, Connetcor: SO-239, Output Port:2. If you have any questions about this product by Daiwa, contact us by completing and submitting the form below. If you are looking for a specif part number, please include it with your message.